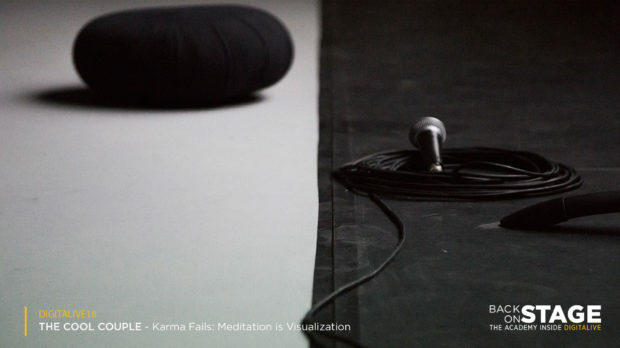 For DIGITALIVE 18, the section of the Romaeuropa Festival dedicated to algorithmic performance curated by Federica Patti, Milanese duo The Cool Couple involved the public in a ‘guided meditation’: Karma Fails – Meditation is Visualization. Founded in Milan in 2012, the duo consists of Niccolò Benetton and Simone Santilli. 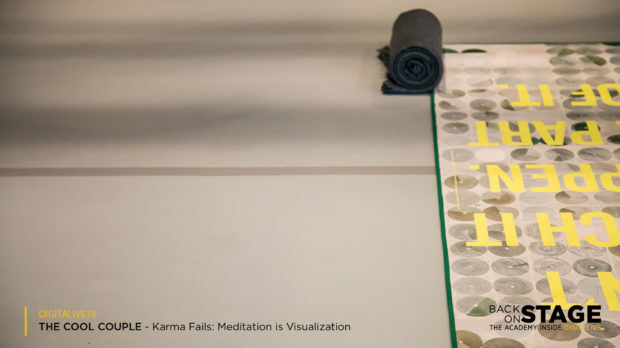 Their artistic research focuses on the frictions generated daily in the relationship between people and images, which The Cool Couple render visible using the most disparate tools – from photography to electrostatic cloths, from Chinese cover bands to meditation – already featured by them in the past. Their work is often combined with pedagogy because, as they themselves say, this “generates good karma”. They are founders of the cover band Rui & the Rainbow Dragons, and members of POIUYT, a platform dedicated to the research of images that aims to fostering a critique attitude towards this language that is key to contemporary culture. 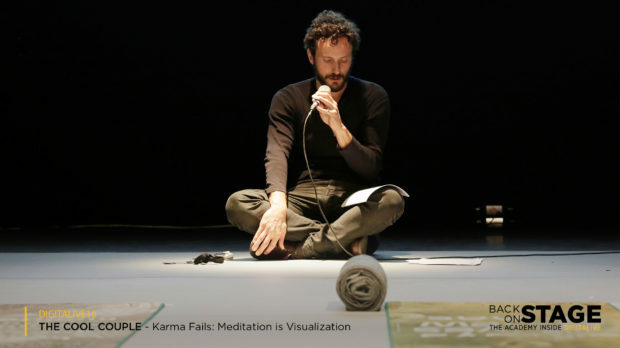 For Karma Fails – Meditation is Visualization, the public entered a space in Rome’s Pelanda, where the calm, friendly voice of a performer – and collaborator of the duo – guided them in a relaxation of body and mind, in preparation for viewing a series of images and situations which trace the various stages in human progress – and our role within it – from the 19th century to the present day. “Breathe in deeply”, says the performer at a certain point. “The wheat has given way to sand, which rises in whirlwinds and dances around you. A sandstorm that advances inexorably. You can turn and run. But the wall of sand is much faster than you. It’s the blast wave of the future. Breathe out”. And so meditation becomes ‘visualisation’. 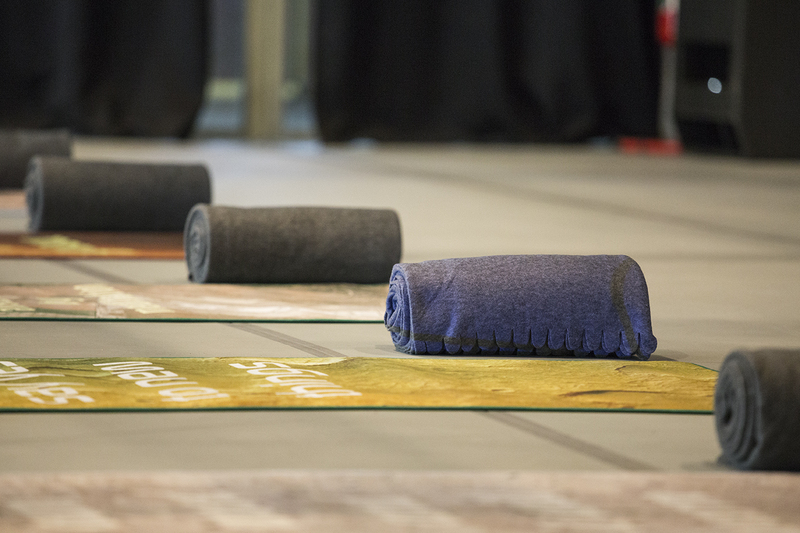 From 5 to 7 October, the performance/meditation, lasting some 40 minutes, was repeated three times, transforming an area of the Pelanda centre into a place of reflection for 15 people at a time. 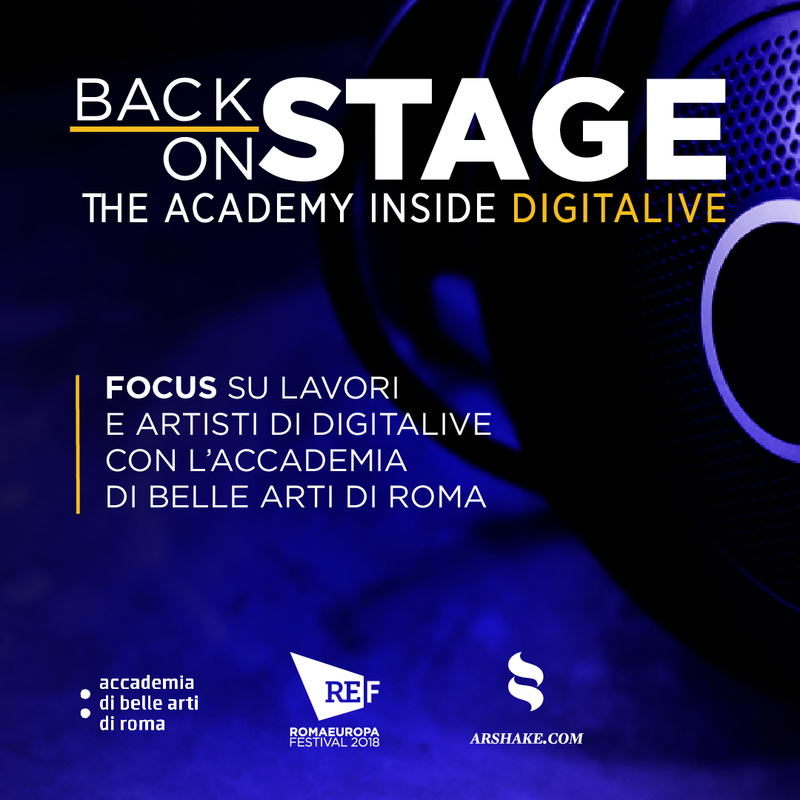 The article is part of the special section that Arshake dedicates to BACKSTAGE / ONSTAGE, the project that took 24 students from the Rome Fine Arts Academy backstage during DIGITALIVE – a new format dedicated to digital art, curated by Federica Patti and part of the Romaeuropa Festival. 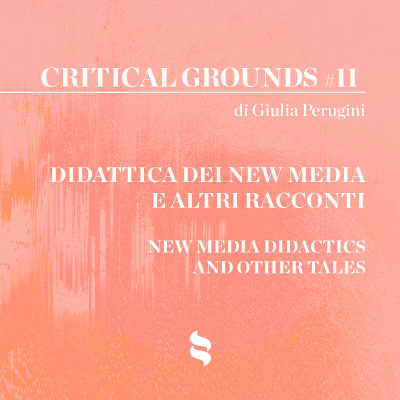 Moving from backstage to front stage, in a Festival edition completely dedicated to performance and live events, students were involved in all the preparatory stages, from which they obtained material to be reassembled for this editorial project. The articles, published weekly, build a memory of the works and artists present at the event, capturing highlights from the ‘energetic’ performance works and also their protagonists. The content structure has been inspired by Antoni Muntadas’ Methodology of The Project, as suggested by Valeriana Berchicci.